The name of this game from iSoftbet may sound a little bit confusing at first but it is without a doubt a slot game and not a bingo game. It is one of the latest releases from iSoftbet in their range that is very unconventional and not like the many other slot games in the online casino gaming world. If you have ever played any other iSoftbet slot game then the concept for the 777 Double Bingo Progressive is the same as all the other games except that it is a little bit challenging and therefore more fun to a gamer who seeks to get a more involving gaming experience with slots. It however also carries with it a number of the qualities of other iSoftbet machines that also makes it quite simple in design and workability. 777 Double Bingo Progressive consists of nine pay lines that are available to a player across the five reels for the online slot machine. It also has a progressive jackpot which has a minimum of 50,000 coins which translates to about $50,000 in cash terms which is not very bad. The game is inclusive of wild cards and multipliers and the most incredible of its features; a bonus game. These features make the 777 Double Bingo Progressive deviate from traditional slot games which is what iSoftbet has become known for over the years, which would explain why it lacks scatter symbols and free spins. The minimum bet that a gamer can place on the 777 Double Bingo Progressive is 0.01 per line with the largest bet coming to a total of 45.00. So this slot is not that very demanding in terms of budget and might just be the one for you if you are looking to get started with online slot games. 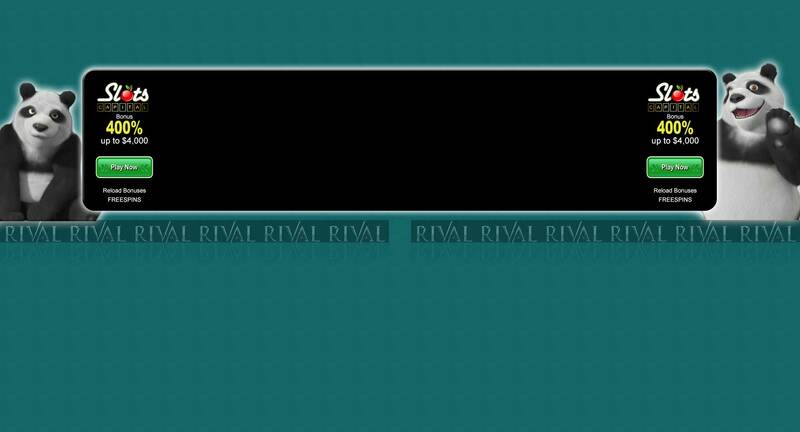 The name of the game is however not a fluke as it is very well designed to simulate Bingo, at least when it comes to background graphics. Other very well designed icons on the game include the fiery sevens, dollar signs, double and treble bars, cherries, bells among many others. The logo that you will need to be on the lookout for, if the jackpot is what you are after is the wild card and should you see it, you will become 10,000 coins richer. The progressive jackpot however requires that you win at bingo. 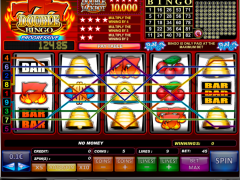 During the 777 Double Bingo Progressive game and the slots are being played at maximum wager, the bingo game which usually sits on the top right hand corner is activated and should you successfully match all five numbers on your bingo card with the ones that will appear at random, then you will have won yourself, the progressive jackpot. It is as simple as that. The game is also quite easy to master and doesn’t have a lot of complications involved in either the makeup of the game, how the icons work or even just the overall functionality of 777 Double Bingo Progressive. It is an interesting play when you choose 777 Double Bingo Progressive especially if you happen to like both slots and bingo or have thought about trying either one or the other. The fact that it is a progressive jackpot slot game makes it easier for you to walk away with as much cash as possible while at the same time being a really fun game to play. The 777 Double Bingo Progressive is available in a lot of online casinos and some of them may even let you test drive this incredible game before betting real money. in their attempt to move from the regular cheesy slot games that are available in the casino gaming industry, iSoftbet has come up with a game that is bound to make your gaming experience that much more interesting and challenging while at the same time making it easy to play.